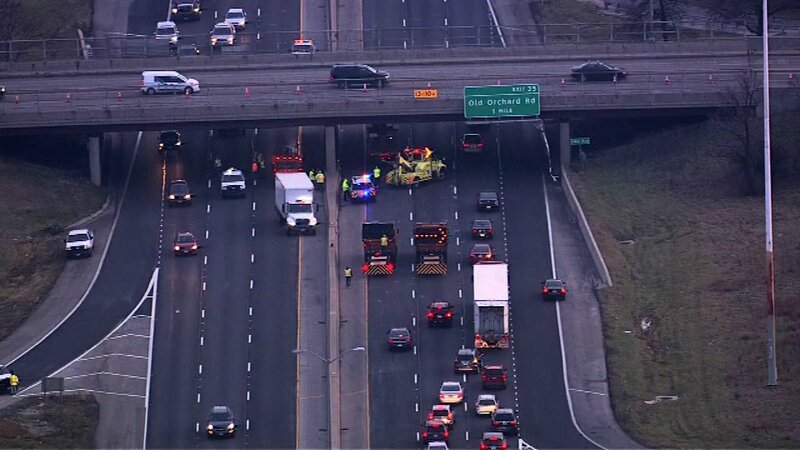 WILMETTE, Ill. (WLS) -- Emergency vehicles are on the scene where concrete is falling onto the Edens Expressway near the Lake Street exit in north suburban Wilmette. Two lanes were temporarily closed in each direction on the Edens, but all lanes have since reopened. An IDOT spokesperson said the concrete fell after a truck with an over-height load damaged the bridge. The damage is not extensive enough to close the bridge or the roadway underneath and traffic is safe both on and under the bridge.